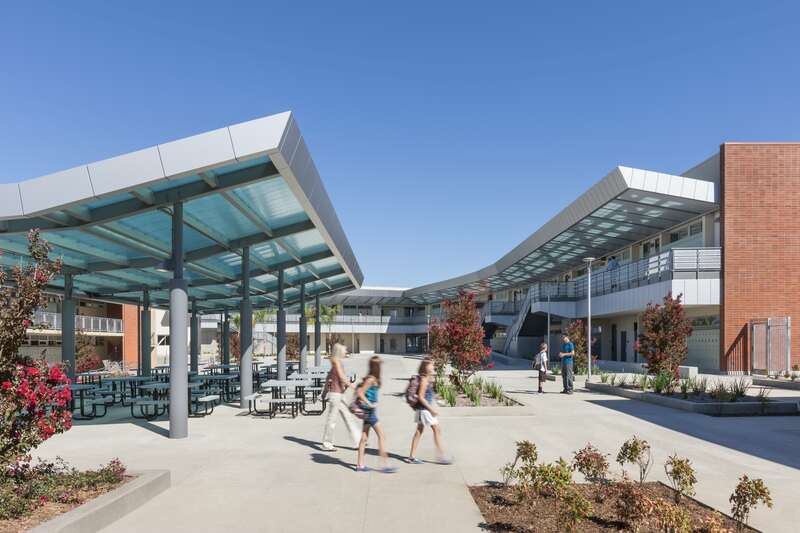 John A. Martin & Associates, Inc. Costa Mesa School Receives Sustainability Award - John A. Martin & Associates, Inc.
Costa Mesa’s Enclave Middle School was selected to receive a 2016 USGBC Sustainable Innovation Award / Merit Award in the Energy & Atmosphere category! JAMA is proud to have served as the structural engineer of record on this project with HMC Architects. The award was conferred at USGBC-LA’s 12th Annual Green Gala on November 10th.